When it comes to offensive rebounding, the ability to anticipate the ball coming off the rim can be just as important as length, or athleticism. That’s why I like to put my players through a series of drills that hone their offensive rebounding abilities specifically. 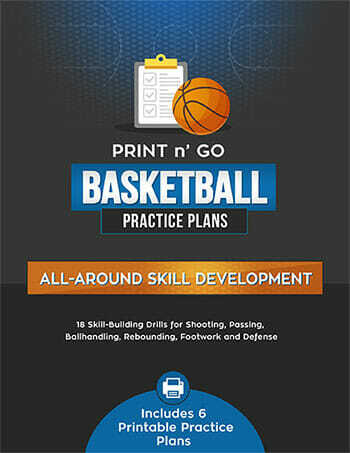 This is a great twist on the classic three man weave drill. Instead of going half court or full court distance, we actually start all three players in the paint, and instead of passing to each other, each player is going to throw the ball off the backboard for the next guy weaving around. 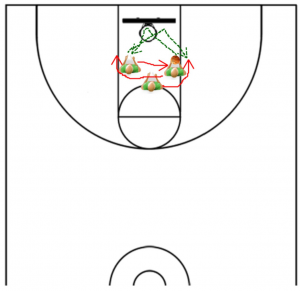 This will force your players to move nimbly around in the lane and get up and down quickly. Make sure that players are keeping the ball above their heads and minimizing their time on the ground. 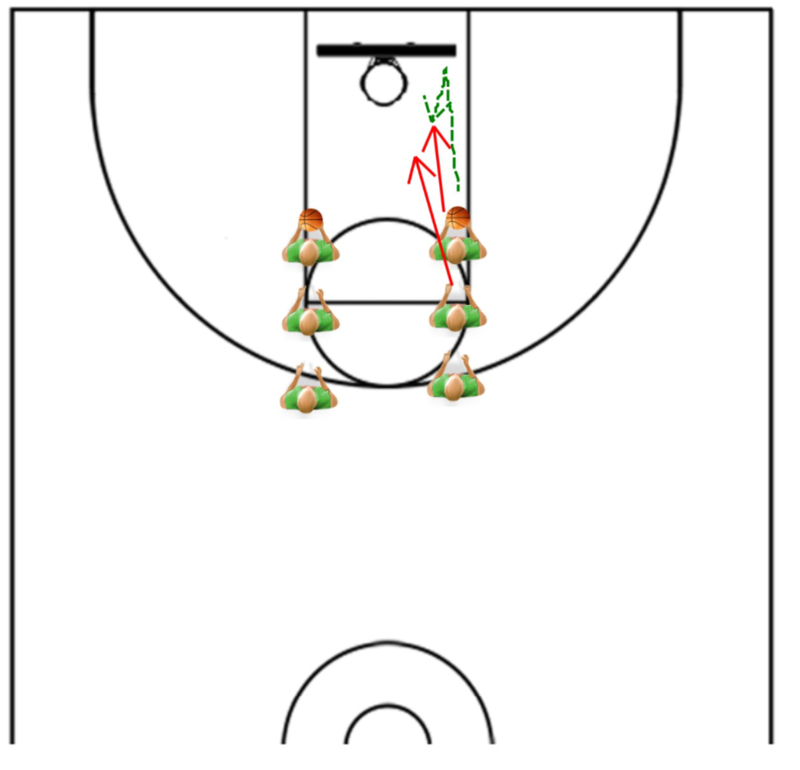 Make the players grab 10 straight rebounds, with the last player finishing strong at the basket. Here we’re working a tricky technique – grabbing the rebound when a player in front of you has an advantageous position. Whether by using a swim technique, or just simply trying out jump them, the offensive player is going to have to expound quite a bit of energy to get their hands on the ball. 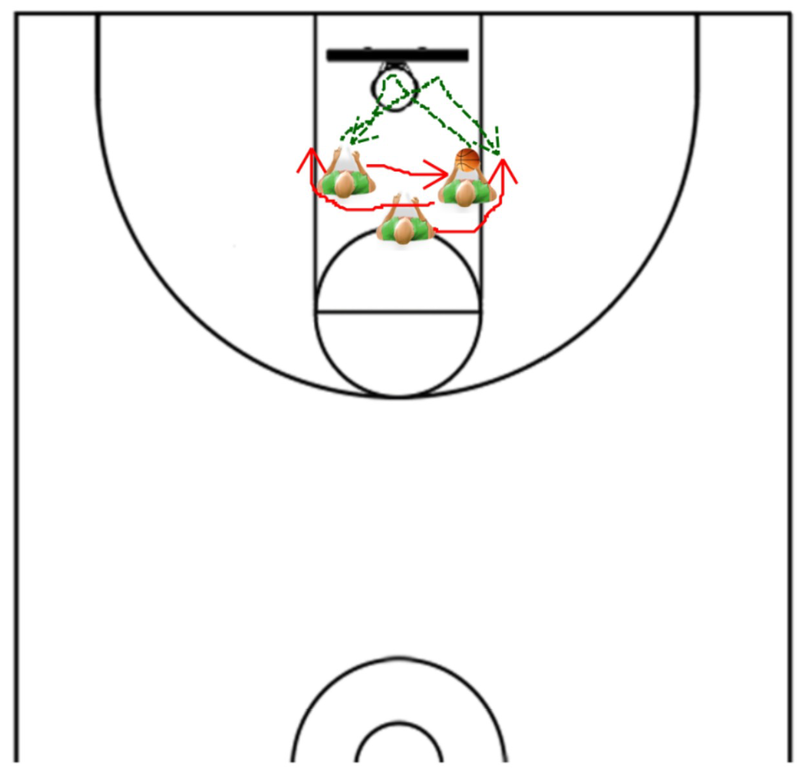 Set up two lines, both at the elbows, facing the rim, with a ball at the front of each line. The player at the front of each line will throw the ball off the back board, and then put his body on the player behind them, trying prevent them from grabbing a rebound. Award 1 point for defensive rebounds, and 2 points for offensive rebounds, with the drill running until one of the players reaches ten. One technique that can be very successful for your team is wedging, when instead of battling their own men underneath the rim, players will cross the key and block out each other’s men. You can often catch the opposing team off guard, and at the very least, you’ll be able to slow down their break if it’s a made basket. While it’s good to encourage your players to be physical, don’t let them get into the bad habit of fouling during these drills – if they can’t do it in a game, don’t let them do it in practice. 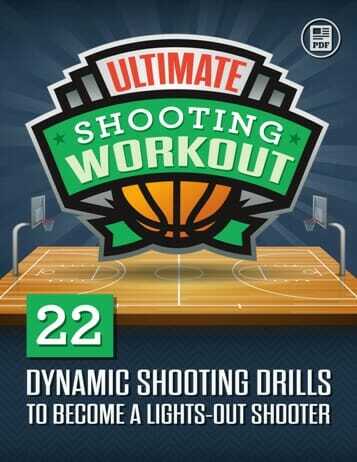 Make sure to get your guards to do these drills as well. The most dominant rebounding teams are ones that have guards that help. 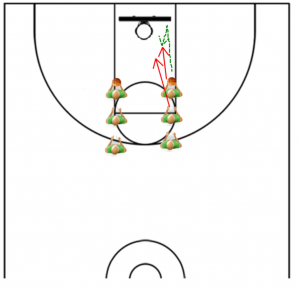 Do you have an offensive rebounding drill that works well for your squad? Post it in the comments section below – I’d love to check it out! 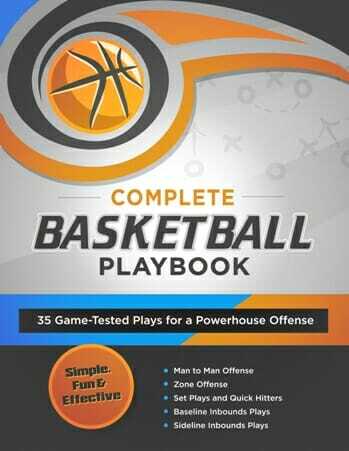 And if your looking for some drills to help you beat that dreaded 2-3 zone, make sure check out this post on how to run a zone offense! I had my doubts about the over the back drill, but my girls love it and it really gets them fired up under the hoop. I’m going to use it as a pre-game warm up. Right. And as any former big man will agree, toughness and tenacity are alot more important to rebounding than length and athleticism!